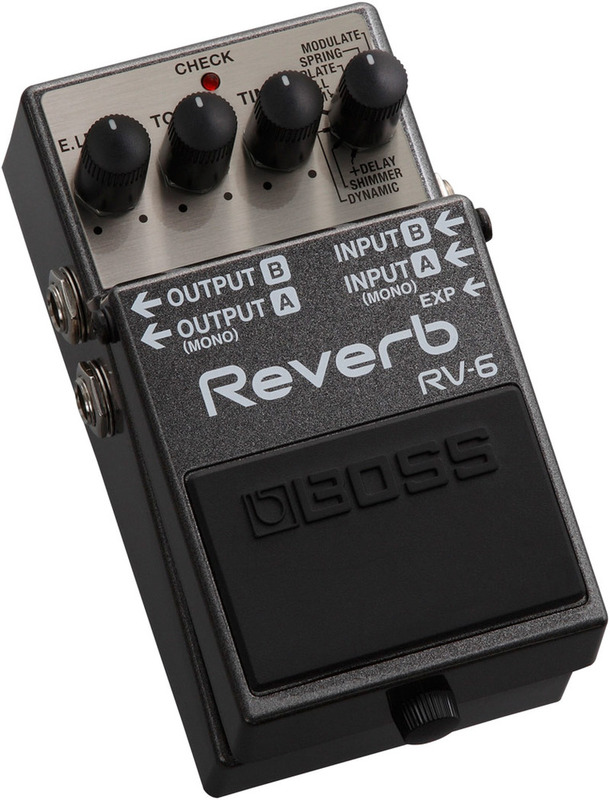 Packing the latest BOSS DSP and updated algorithms, the RV-6 gives you eight highly musical reverb effects in one compact pedal. Add body and depth to your core tone with standards like Room, Hall, and Plate, dial up swirling richness with the Modulate setting, or surf it up with a vintage-style Spring reverb. 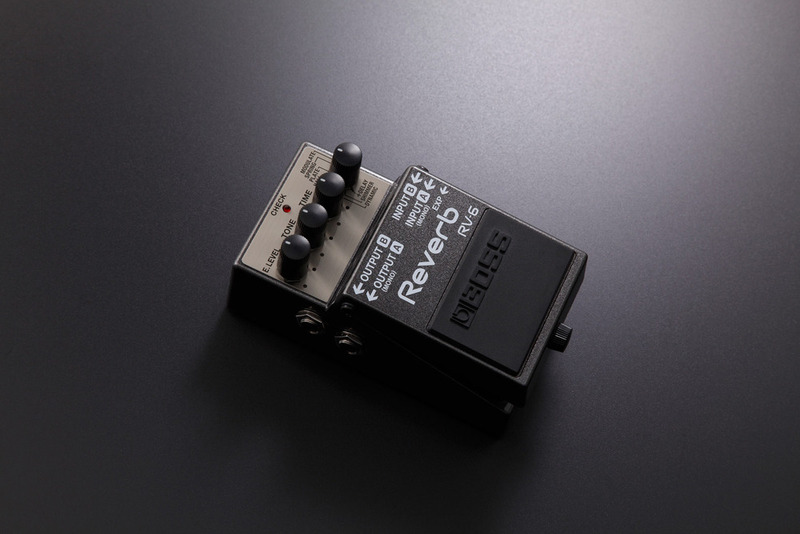 Dynamic mode automatically adjusts the effect depth to your playing touch, providing deep, immersive reverb that won't turn your tone to mud. 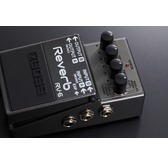 And modern players will love the new Shimmer and Reverb+Delay modes. 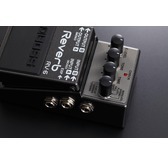 The RV-6 makes getting high-quality reverb sounds with your guitar quick and easy-just select a sound mode, tweak the knobs to taste, and play. 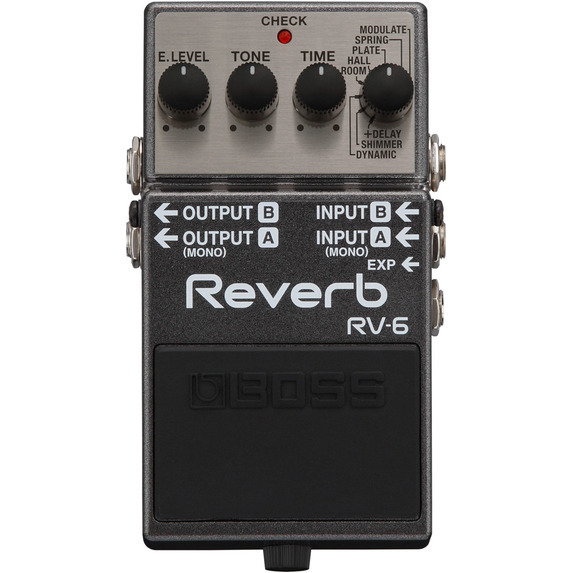 But while its operation is simple, the RV-6's sound is rich and sophisticated. 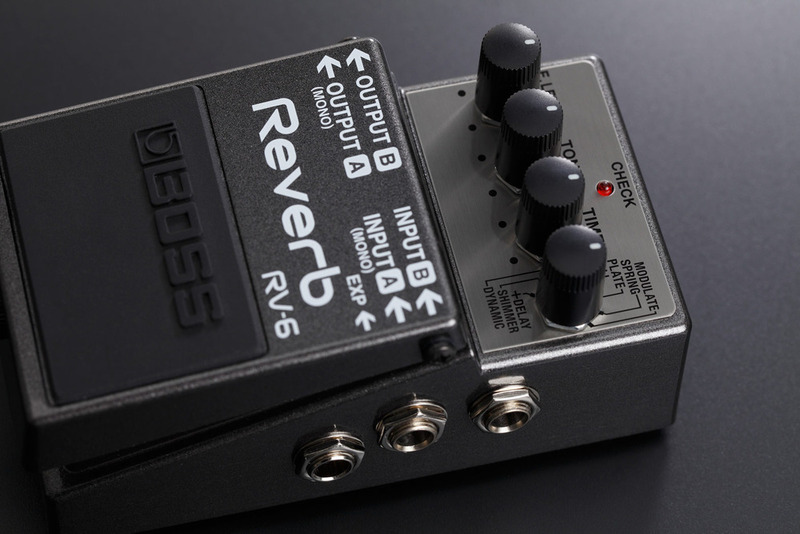 Under the hood, each mode includes a huge array of detailed reverb parameters, all perfectly tuned for guitar by the BOSS engineers with direct input from many pro players and sound engineers. Even as you adjust the selected mode with the Time and Tone knobs, many parameters are simultaneously adjusted inside to create the ideal voicing for every setting. 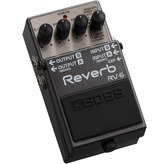 While the RV-6's reverb effects are high-tech digital, you can rest assured that your straight guitar tone always remains pure analog as the effect is blended in. 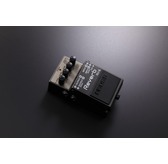 Convenient auto-switching jacks let you integrate with any pedal chain, with support for mono, mono-to-stereo, and stereo-to-stereo operation. 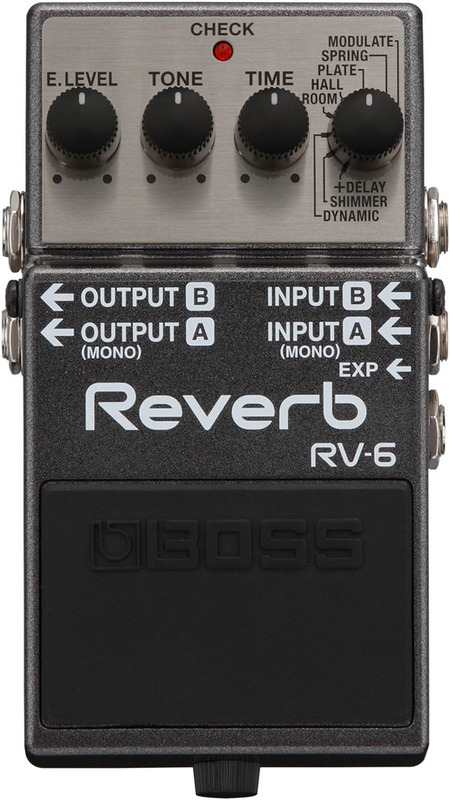 And by plugging into the B input only, the RV-6 outputs a 100-percent wet sound, great for working with more complex rigs that employ parallel processing chains and mixers. 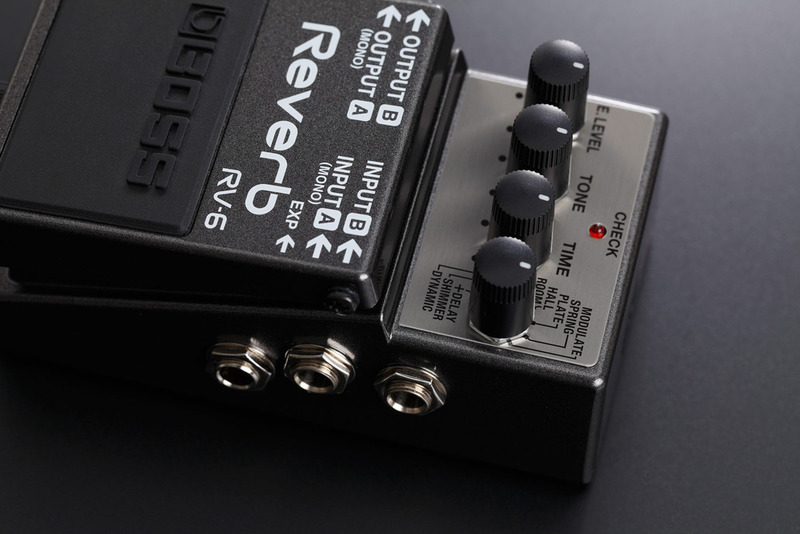 There's also a jack for connecting an optional expression pedal, allowing you to control the effect level in real time as you play.